A DIY small and elegant log cabin made of high-quality lumber by Cabins and Outdoors is the answer if you’re in need of extra space. It can be anything you desire; a gym, a home office, a pool house, an artist’s studio, a guest house, a hunting or fish cabin, a man cave or just a haven within your home. 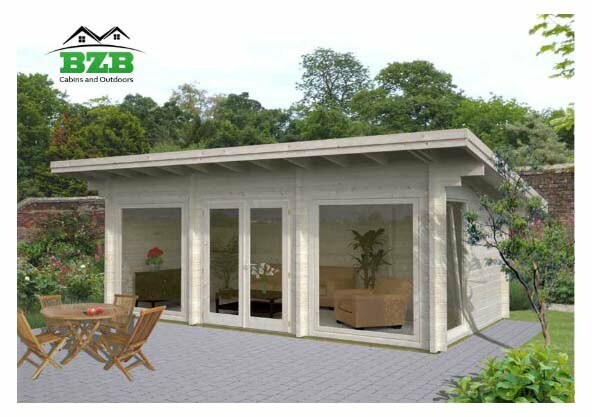 This can be built by yourself with the help of a family member or friend, depending on the model size you want. You can also have it built for you. 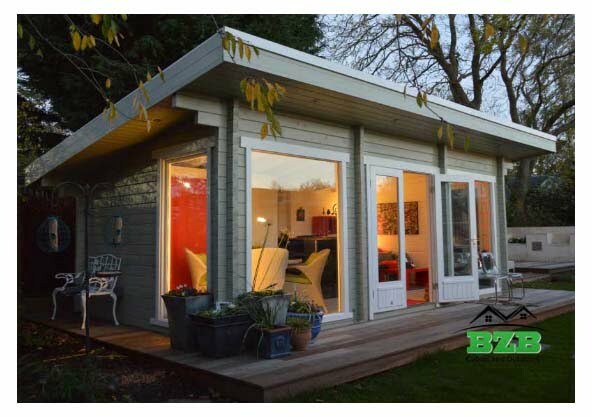 The cabin can rest directly on the ground. The thick floorboards (1 inch) just need to be treated to protect it from moisture. If you would want to add more design, you can have it rest on a wooden or a stone deck. 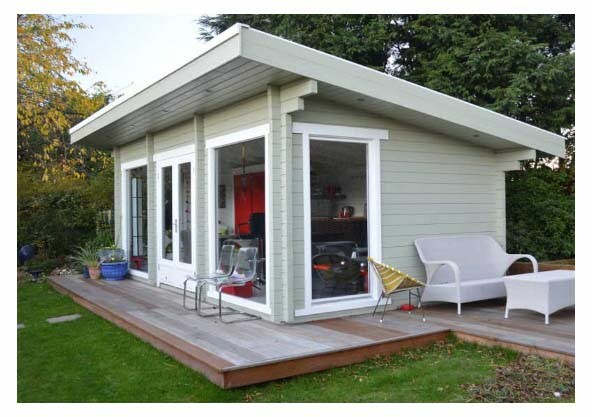 This will allow you to add outdoor furniture suitable for family gatherings or small parties. Its facade has a double pane real glass front door entrance and two large floors to ceiling windows. The same windows are found at the side of the cabin. The home will not require any interior finishing. The natural color will suit any design or purpose you decide for the cabin. It can also be easily painted to your preferred color. The front windows and glass doors will allow you to stay comfortable and relaxed indoors while others enjoy the activities outside. 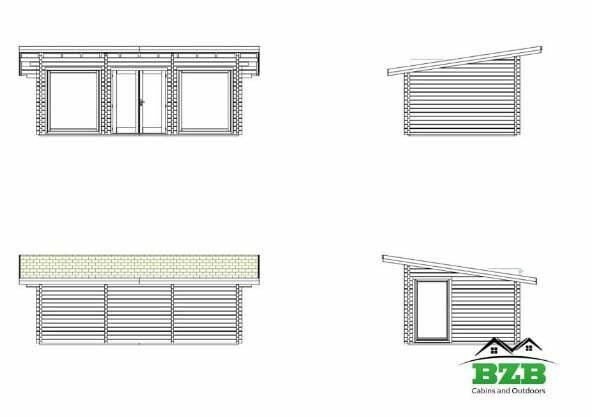 The kit includes everything you need to build your very own log cabin, as well as instructions that are easy to follow. The overall dimension of the structure is 24’6″ x 15’10”. 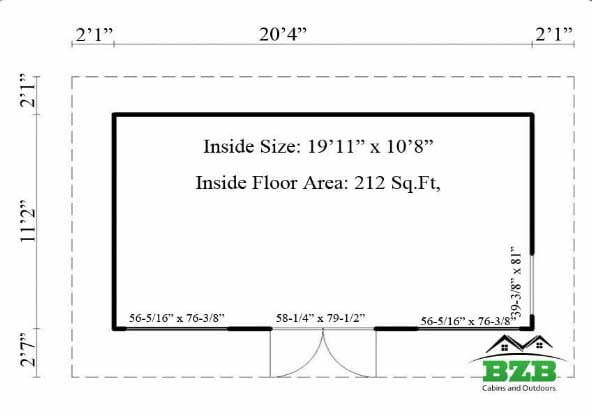 Its overall height is 9’10” while the roof area is 393 Sq. Ft. The front windows are double pane real glass. This DIY small log cabin is a perfect addition to your garden or backyard. 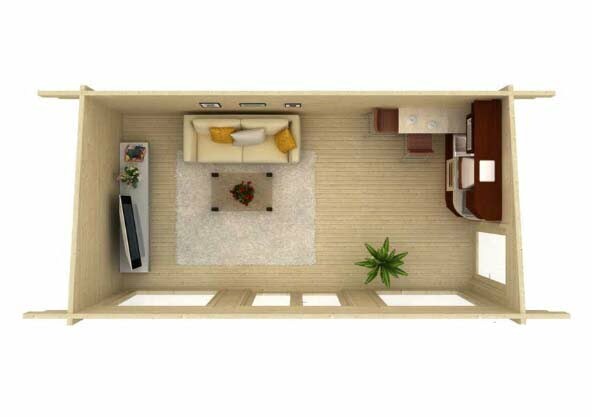 Inside Floor Area: 212 Sq. Ft.